LNP 137 Branding – What are the risks of going cheap? You are here: Home / Business Management / LNP 137 Branding – What are the risks of going cheap? Who wants to buy your service at the price you are worth if you look like you opened shop yesterday? Who wants to buy your product at top dollar when it looks like you made the packaging and labeling in your basement? People want to do business with people they trust, like and know (and with someone who other people trust). Branding makes the difference. So many people are starting their own businesses. THIS is exciting! I love when the entrepreneurial spirit is alive and kicking. Many people who start a business are young either in age or in business. Your ideal clients want to know that they can trust you to provide them a quality product and/or service. Need help with your branding? Not sure what to do next? Discover more about branding with our online training presented by Jena Rodriquez: Discover, Define and Deliver a Brand that Shines. 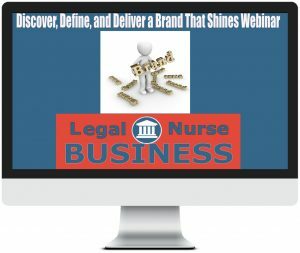 Branding is the true foundation of any legal nurse consulting business. You need a clear brand that shines. (This is not just a logo or marketing strategy, but a BRAND). 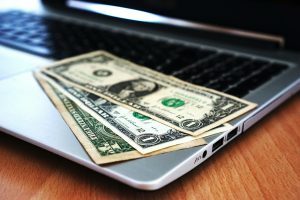 Without a brand that shines, then your legal nurse consulting marketing efforts and sales efforts are not as efficient. You must have a brand that shines to stand out from competition and to build IMMEDIATE trust, likability, value, and confidence for your prospects. Get the details about this online training by Jena Rodriquez at this link: http://lnc.tips/brandshines and use the code Listened to get a 25% discount. 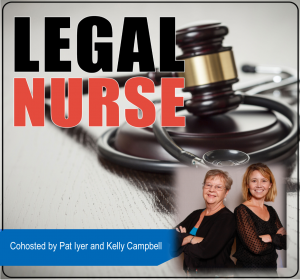 Patricia Iyer has been a legal nurse consultant since 1987 when she first began reviewing cases as an expert witness. She achieved national prominence through her texts and many contributions to the legal nurse consulting field. She was the chief editor of Legal Nurse Consulting Principles and Practices, Second Edition, the core curriculum for legal nurse consulting.